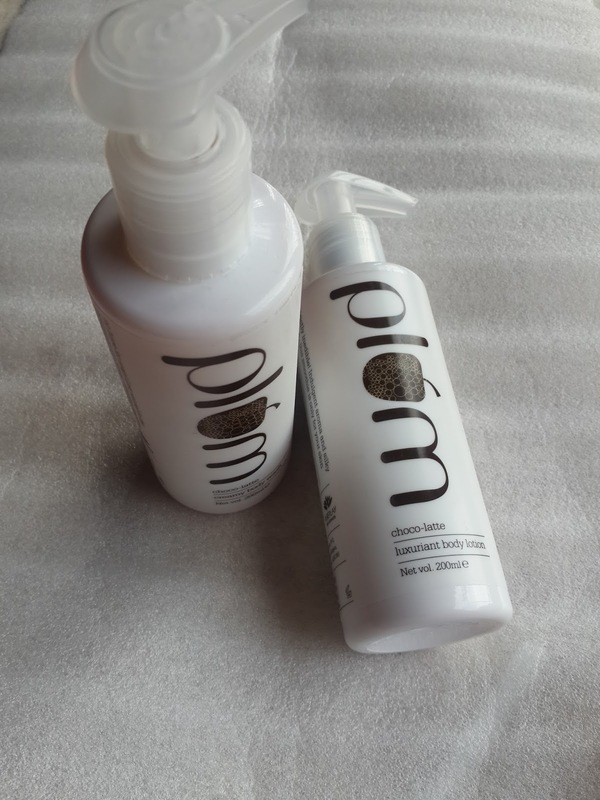 HI beauties here is another product review of plumgoodnes which is choco-latte body wash and lotion. Lover of chocolate definitely will like this product.Its packed in plastic bottles used for liquid dispension with pump which are travel friendly. Body wash is shiny cream color liquid. Ther aroma of body wash makes it feel like taking bath with luxurious chocolate milkshake. Smells so good… awakens your deep senses.You totally going to indulge in chocolaty showering experience. Its 100% soap free and paraben free. Its not so creamy more of liquid but it lathers well on skin having very light feeling. It does not make your skin dry but i wish it was still more rich creamier and hydrating. Body lotion also have that same smell like body wash but its fragrance is long lasting it really smells like luxurious chocolate when applied on skin. Pity its not edible. Its hydrating and moisturizing The consistency of lotion is not thin or watery its like gel based and stays on palm. The feel of lotion is light does not make skin greasy or sticky. I feel it can be used in summers also due to its non greasy formula. It Quickly absorbs hydrating even dry skin. The main ingredient of lotion is coco butter All natural ingredients are used in both the products. Loved this fragrance. No preservatives are added. Cruelty free products. All products are available online delivery of product was quite fast. Very easy to order with free shipping all over india. This products are really good for you skin they do not have any harmful chemicals. If you are lover of natural products you can find lots of skin care products. I have started loving this. BE GOOD to your skin.